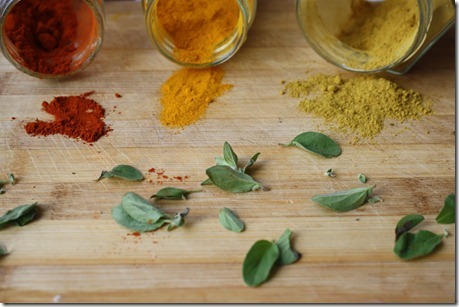 5 herbs and spices you’ll want to make part of your daily diet. Fresh or dried, chances are you aren’t getting enough of these five herbs in your diet. 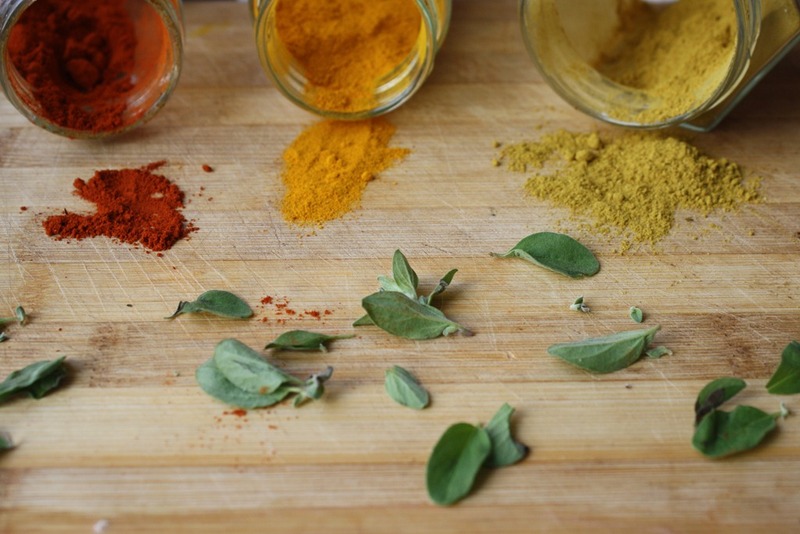 Make no mistake, they aren’t just around for taste – spices and herbs are indeed nutritional powerhouses that can complement your health and help to treat a condition or sickness. The following will not only diversify your palette but also bring a whole new meaning to such things as cancer prevention, weight management and anxiety reduction. I only recently learned the health benefits of turmeric and ever since have made sure to incorporate it in my daily diet, usually as part of my morning tea. Turmeric originates in India, where it has been used for more than 2,500 years and is a staple in Ayurvedic and Unani medicine. Above all other health claims associated with it, turmeric should be regarded as a detoxifying agent. It naturally cleanses the liver and has antiseptic and antibacterial properties. Additionally, the spice reduces the risk of all cancers, is anti-inflammatory and helps with weight management. Turmeric also treats Alzheimer’s, depression and arthritis. How to use it: Each morning, add the juice of 1/2 a lemon to 1 cup of tea water along with a dash of turmeric, cinnamon and cayenne pepper. Sweeten with a few drops of liquid stevia to finish off the ultimate morning elixir that will cleanse the liver and get your day started the right way! Regarded as the “King of Herbs” in France, tarragon dates as far back as 500 B.C. in southern Russia and Siberia. The Greeks would chew tarragon to numb the mouth from toothaches. In the Middle Ages, tarragon was used as an antidote for poisonous snake bites. For our purposes, however, tarragon is relevant in treating stomach aches as well as triggering the appetite. It helps the liver produce bile and thus contributes to proper digestion. Tarragon also prevents heart disease, lowers blood pressure and is a mild sedative. How to use it: Tarragon is suitable for chicken, fish and egg recipes. It is also a central ingredient in Béarnaise sauce, which is only second in status to Hollandaise sauce. This one truly lives up to its namesake – it is somewhat of a panacea. Allspice is a staple in Caribbean dishes and often goes under appreciated everywhere else. But it shouldn’t! Allspice has powerful anti-inflammatory and antiseptic properties and has a soothing and calming effect. It also contributes to gastro-intestinal health, controls blood pressure and improves metabolism. And with its power antioxidant content, allspice prevents cancer and aging. How to use it: Allspice is useful in most Caribbean dishes, such as soups, stews and curries. It is also commonly used to pickle mixtures in the UK. It is a great additive to meat mixtures and marinades as well as pates and terrines. Allspice also adds an edge to cakes, biscuits, ice creams, pies, hot chocolate and chutneys and jams. If I could bottle marjoram, I would. Rubbing its fresh leaves on your wrists and behind your ears makes for the best perfume – it has a deep tone but an air of lightness and freshness you can’t get from synthetic sprays. In fact, in ancient Egypt, it was originally used for cosmetics. However, today it is mostly used as a seasoning herb. Marjoram stimulates digestion,raises appetite,calms the mood, treats insomnia and is a diuretic.The herb has a hefty list of medicinal applications,including treating appendicitis, vomiting, diarrhea, hepatitis, malnutrition, itchy skin, neurosis, pancreatitis, fever and the flu. How to use it: Dried marjoram is fitting as part of marinades or dry rubs as well as in tomato-based sauces, soups and stews. When fresh, marjoram adds a fragrant touch when mixed into salads and sprinkled atop pasta dishes. Often used in aromatherapy, rosemary has calming effects and treats fatigue, improves the mood, prevents anxiety, calms the muscles and improves digestion. Consuming rosemary helps to improve digestion, offset obesity, treat liver disease, eases symptoms of asthma and calms an accelerated heartbeat induced by stimulants. Due to its antiseptic and tonic attributes, it also helps with hangovers, colds, sinuses, muscular pains, cramps and headaches. It’s also PMS’ best friend. How to use it: Rosemary is a hearty herb that pairs well with hearty vegetables and meats. I like to use it in baked potato and bread recipes or tie the stems together and let them steep in a simmering soup to extract flavor.